China’s commerce ministry has cleared Lockheed Martin‘s (NYSE: LMT) estimated $9 billion purchase of the helicopter manufacturer Sikorsky Aircraft to mark the final regulatory approval required for the deal. 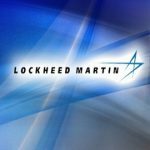 Lockheed announced the review’s completion Tuesday and said it expects the transaction to close Nov. 6. The company needed approval from eight jurisdictions to move forward with the transaction. United Technologies Corp. (NYSE: UTX) will use some proceeds from its sale of Sikorsky to Lockheed for a $12 billion share repurchase program.